Steel T-slot Nuts are the most broadly used type of T-slot nuts and are ideal for securing heavy components. 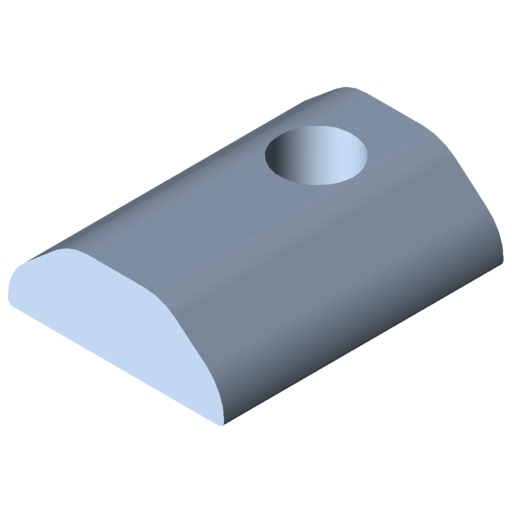 They are inserted into the profile groove either from the side or from the end and then secured with a screw. T-slot Nuts V 8 St have an additional anti-torsion device that centres the T-slot nuts in the profile groove. 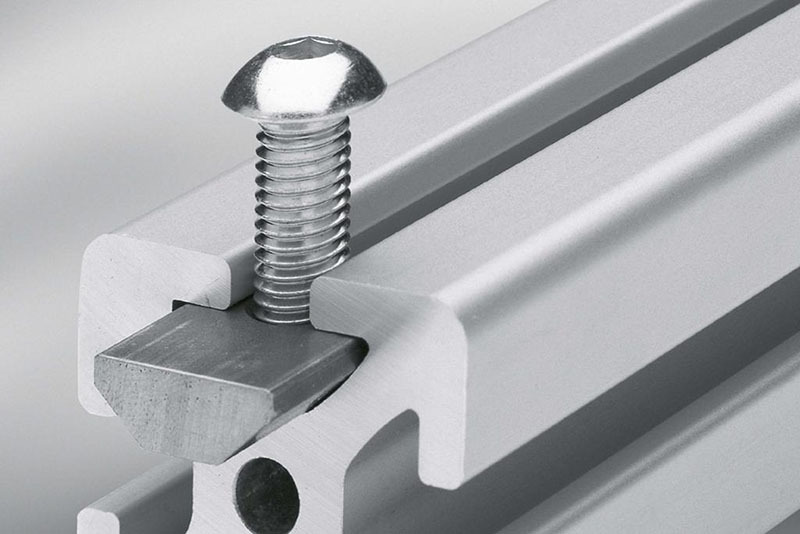 This effectively prevents the T-slot nuts slipping out of the groove unintentionally. 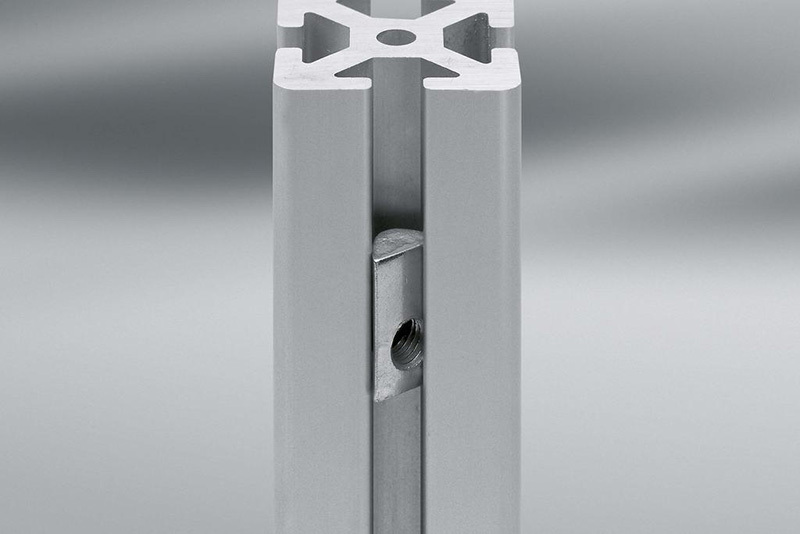 Useful for very heavy-duty fastening applications. 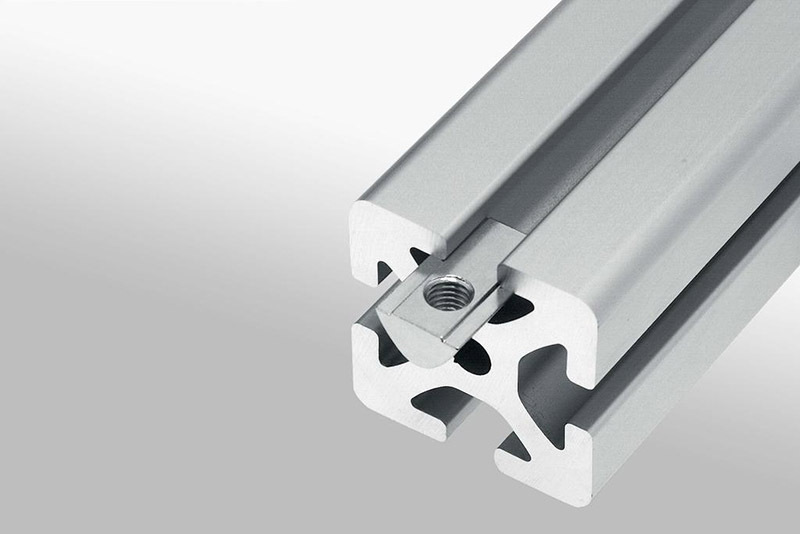 Since their cross-section is adapted to the groove shape, tensile forces are guided into the aluminium profile. They also have more supporting threads than the turn-to-insert T-slot Nuts and thus allow greater screw tightening torques.